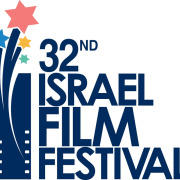 The mission of the Israel Film Festival is to enrich the American vision of Israel's social and cultural diversity, to advance tolerance and understanding and to spotlight Israel's thriving film and television industry. The Israel Film Festival has not been afraid to program films that reflect divisions in Israeli society. Also, we pride ourselves for showing films that reflect some of the less-than-perfect sides of Israeli life and politics. This diversity of opinion helps teach tolerance and appreciation of others. The medium of film helps to bridge the wide gap among the many diverse sectors of both Israel and America. Would you recommend Israfest Foundation Inc? the festival staff was very appreciative of their volunteers and treated us with respect. but most of all it was really FUN!! !-we got to watch lots of movies, i met many new people that am still in touch with and when we stayed late during festival prepration they provided dinner.